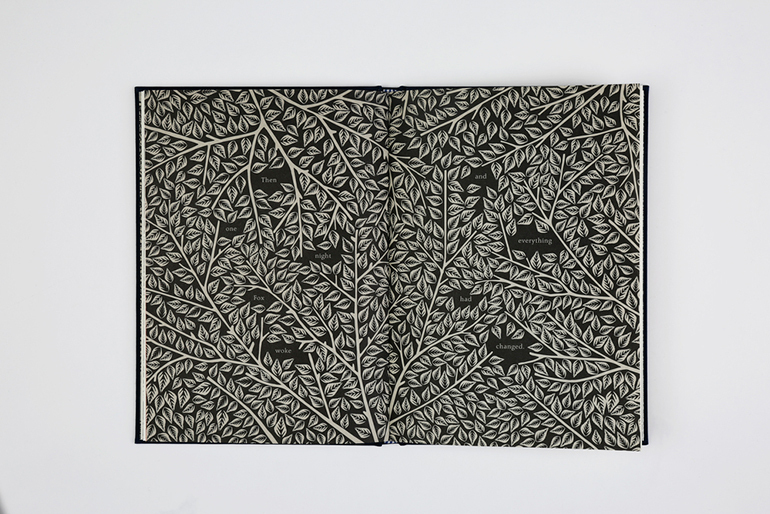 If you’re a lover of their books, chances are you own one designed by Coralie Bickford-Smith. Her series designs including the Penguin English Library, the Great Food series and the Cloth Bound Classics have been celebrated by the most prestigious design bodies in the world. Inspired by William Blake and William Morris, her work has a rare integrity. Her latest endeavour? 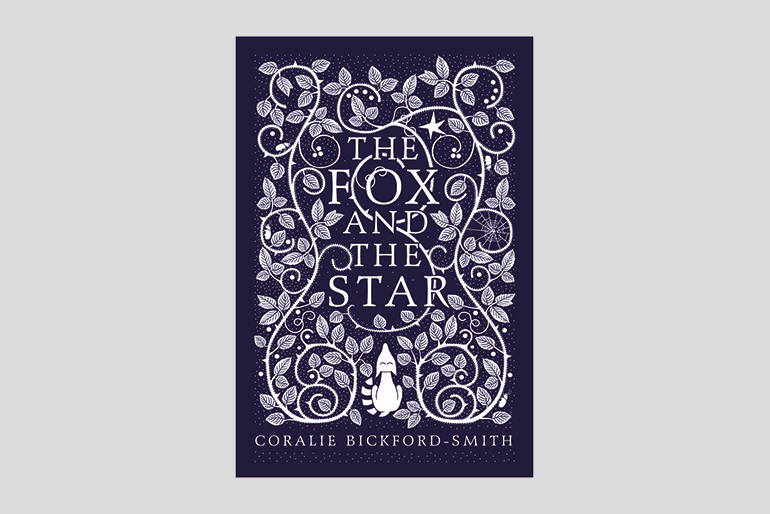 To write, illustrate and design her first children’s book, The Fox and the Star. 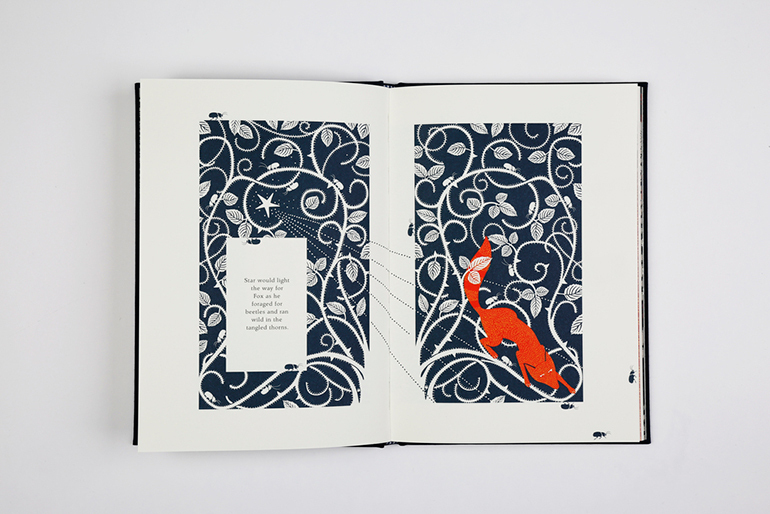 Published by Penguin imprint, Particular Books, our new friend the fox comes in a blue cloth bound hardback. He sits at the bottom of the cover, looking up through swirling brambles, leaves, cobwebs and type towards his friend the star. The white foil is expertly printed by Graphicom Srl of Vincenza. Having fallen out of love with foil printed on cloth recently, this fine example restores my confidence. Even the back cover copy, set in the clean serif Agfa Wile (a typeface used before by Smith on the Penguin English Library) speaks clearly. Rather than keep it all to myself, I read The Fox and the Star with my five-year-old son, Joseph, whose reading has just started to take off. Instead of bouncing around at bedtime as usual, he sat down quietly and we followed Fox though his leafy world together. We saw him lose his friend Star and then learn to see beyond his fears, playing spot-the-beetle as we read. 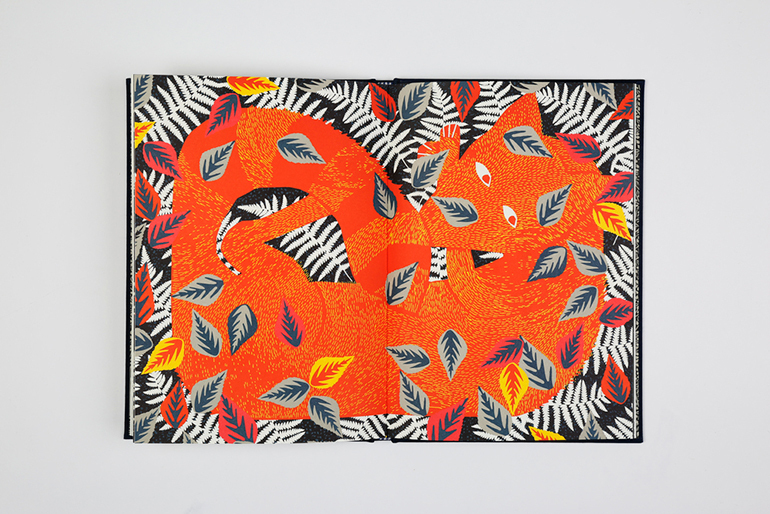 The clean illustrations, informed by Coralie’s work with pattern, balance nicely with the characterful, Carle-esque fox. We see entire forest scenes, a full night sky, beetles and rabbits peeking out of bracken. 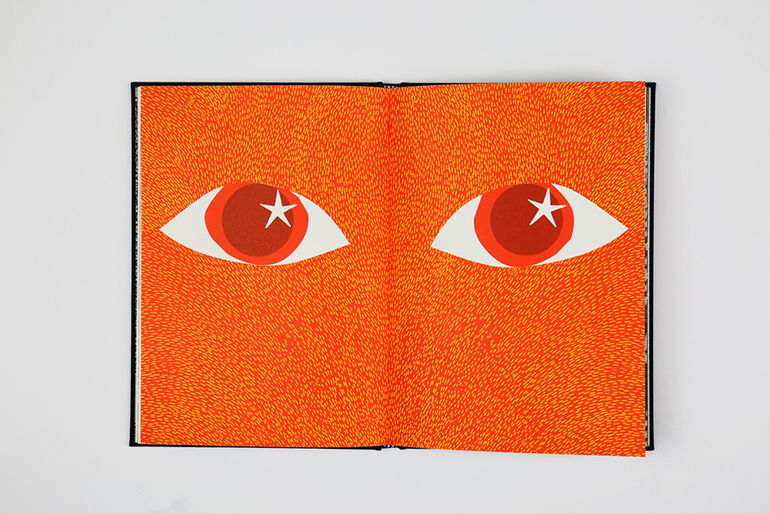 Some work within a grid, others break it wittily, and a few full-bleed illustrations stop you in your tracks, none more so for us than the close crop of fox’s orange eyes staring out at you in a bright orange Pantone. The five colours combine nicely on the inside of the book, and sing from the Munken paper. Everything about this book makes you believe that the author has been slyly doing this for years. In this age of tablet devices, seeing Joseph sit with a book and respect it is pure joy. We spoke about the author and the love that’s gone into making this one, so kids’ books really can be objects for them to own and look after, rather than consume before they move on. This Mr Fox really is fantastic, but will he be back? We hope so.